Now the choice of country service will no longer be indicated by domain. Instead, by default, you’ll be served the country service that corresponds to your location. So if you live in Australia, you’ll automatically receive the country service for Australia, but when you travel to New Zealand, your results will switch automatically to the country service for New Zealand. Upon return to Australia, you will seamlessly revert back to the Australian country service. 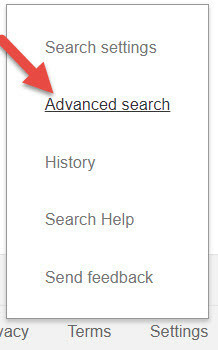 There’s a workaround; go to Settings and select Advanced Search. 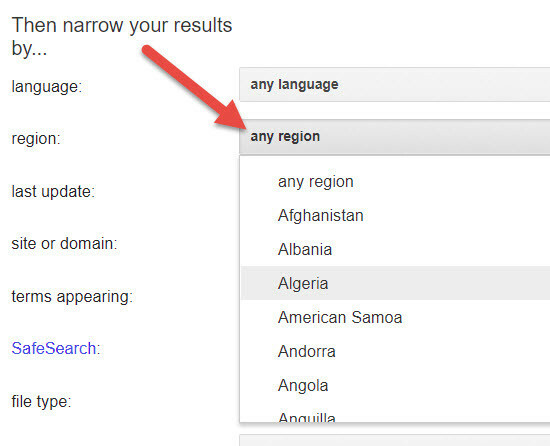 Scroll down to “Then narrow your results by…”, pull down the Region menu, and select the country you want to use to focus your search. 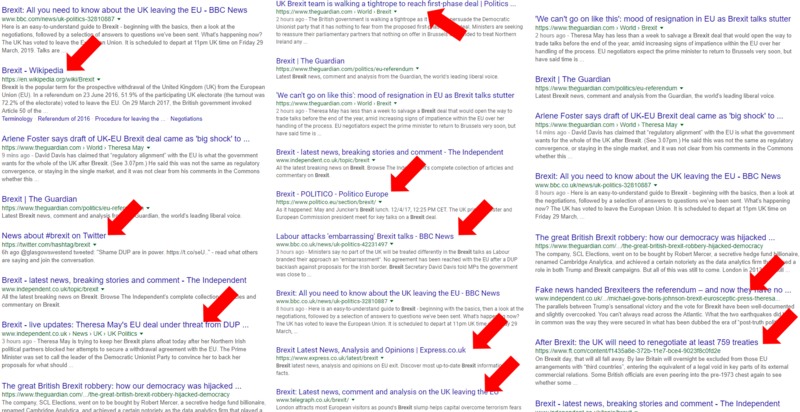 I tried this out with a search for Brexit, first searching in google.co.uk, then in google.co.uk with the Region set as United Kingdom. And, just curious to see if it would make a difference, I tried a third search in google.co.uk after setting my VPN to connect in the UK. And I got different search results from all three searches. Below are the top search results, highlighting the results that only showed up at the top of one of the three searches. Note that each search turned up results that weren’t in the top of the other two. Thanks for the heads up. I just realized that the “/ncr” function no longer works, and, that they’ve missed the boat on the Francophone side of things (nothing new). You have to specify the country, Canada in this case, to actually get results in Montréal or the rest of Québec otherwise you get results pretty much anywhere else in France. But then again, having worked with French fellows on digital marketing projects I can say that they take this SEO / SEM pretty seriously. So it’s not a surprise that they get great page rankings. Using the [site:] Boolean is also really helpful and still working. If you’re looking for results that were posted in a specific region, this is still a great tool. 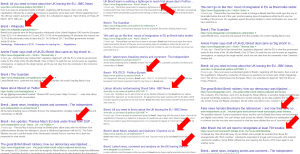 If I were searching about Brexit information in UK, I’d search [Brexit site:.uk]. Happy searching, all.